Are you considering a major remodel in your existing home? Undecided about whether to love it or list it? 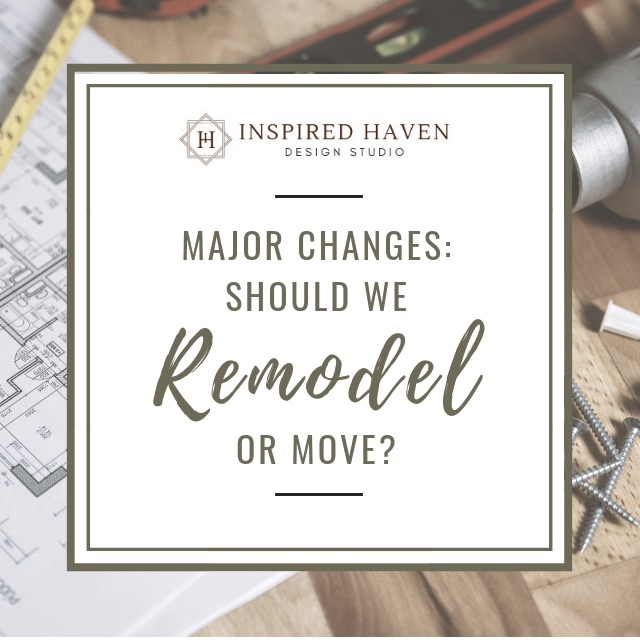 One question I’m often asked is whether it makes sense to do a major remodel or just a quick update for resale and then look for a new home. Remodeling can be both an exciting and stressful process. 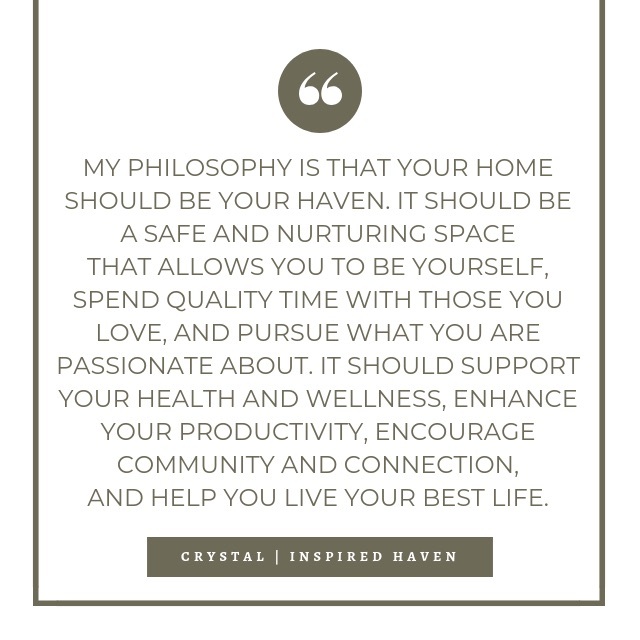 It can be incredibly gratifying to reimagine your current space in a way that suits the needs of your family and reflects your personal aesthetic, and then see that vision come to life. Other times, it may make more sense to find a new home. Does the home’s architecture suit my aesthetic? If you’ve given any thought to remodeling, you have probably spent some time browsing images of completed rooms for inspiration. More than likely, many of them have a similar look and feel. Take some time to try to describe and define the aesthetic you feel most comfortable with. Get as specific as you can. Pro tip: Create an idea book of styles you like and compare your inspiration images to your current home’s architectural style. If you’re looking for a farmhouse and live in a modern home, or craving a Hamptons style and you live in a Tuscan-style home, a remodel will not give you the result you are looking for. You could end up putting a significant amount of money into a remodel that just doesn’t feel like you had hoped it would. The end result can be frustration and disappointment. If your current home’s architecture (and that of the neighborhood) doesn’t suit your style, my recommendation is to consider looking for a home that does. Does the location of my current home fit my lifestyle? Think about your home’s location in terms of the neighborhood, the school district, the proximity to work, entertainment and conveniences such as shopping centers. Do you love your neighborhood? Are you connected to your local community? How is your commute? Could a new location reduce your commute and give you more time at home? Are you in a school district you love? Pro tip: Consider the benefits and challenges your existing neighborhood provides when trying to decide whether to improve or move. There is only so much a remodel can do if your neighborhood presents a challenge. Consider noise, safety, nearby businesses and traffic, and the general maintenance of the surrounding homes.. Does the neighborhood contribute to your sense of well being? If not, it may make sense to consider finding a home in a neighborhood that can allow you to feel more at home. Conversely, if you absolutely love your neighborhood, or if it’s near a great school, or you love being within walking distance of trails or parks or downtown, it makes better sense to remodel, unless you can find another home in the neighborhood that better suits your needs. Location and neighborhood characteristics are features that can be hard to replace when looking for another home. Does the square footage of my home fit my family’s needs? Has your family outgrown your current space? Does your property have room to expand the square footage of your home? Even an 8 or 10 foot extension in one direction can make an incredible difference in a kitchen or great room space. A few more feet could allow for an addition of a bedroom and/or bathroom, a second laundry room (or a primary one if yours is in the garage), or a home office. Adding a second story to a single story home is another option to consider, but is often more costly than people anticipate. A structural engineer will need to be involved to make sure the foundation and framing can support the additional load. Usually, both will need to be updated and reinforced in order to add a second story. Pro tip: It’s always a good idea to get a professional opinion about what kind of addition is possible and discuss the type of budget involved. Depending on the neighborhood and the cost to expand, you may need to carefully weigh the options. Adding square footage can carry a hefty price tag that could overimprove the home for the neighborhood, meaning you are not likely to recover the cost when it is time to sell. On the other hand, if buying a bigger home is completely cost prohibitive and you have a significant amount of equity, if may may make sense to add on to your current home. This is particularly true if you love the neighborhood and plan to stay for many years. What need am kind of change am I looking for? What is the core reason you are considering a remodel? Are you looking to update a home in a neighborhood you love, to make it more functional for your needs? That is the perfect reason to remodel! A well-designed remodel will take all of your needs into consideration. If will allow you make changes to your home that can improve the way you live in it and better equip you for the work you do at home and away. Sometimes, though, the change we are looking for goes deeper than modifying our home. Sometimes we are looking for a big life change. Sometimes the feeling of unrest that can drive us to consider remodeling is the need to fulfill a dream. Or to tackle your bucket list, or find something you are truly passionate about and set out on a new adventure, even if it isn’t forever. Pro tip: If you are feeling unrest in your current home but can’t put your finger on what isn’t working in your home, consider the idea that a remodel may not satisfy the need for change you’re feeling. It’s possible that the urge to remodel is rooted in a desire to slow down and simplify. This could be as simple as downsizing or moving to a property with more land in a nearby area, or moving to the mountain home you’ve always wanted. If a simpler lifestyle speaks to you, consider whether it makes sense for you and your family to downsize or pursue a relocation, either now or within a specified timeframe. Only you and your family can decide if your next adventure or passion project includes packing up your current lifestyle and moving to Kenya to build a school, or to Texas to build tiny homes that enable homeless people to have a roof over their heads and a stable community to work in. Or calling up Chess Moving and relocating to Australia! Maybe your fulfilling work could be much closer to home. Maybe it’s in your current community. If you’ve asked yourself all the questions and are still unsure whether a major remodel will work for your current home, then it is a good idea to consult with a professional you trust. Pro tip: If possible, meet with a designer and a contractor together and find out what kind of changes are possible within the budget you have. Often, a 2 hour consultation is all that is needed. Bring any ideas you have about the space and be prepared to discuss what is and isn’t working. An experienced design/ contractor team can assess the home’s potential and provide some guidance as to what scope of change is within budget. If you’re still uncertain, it may be worth investing the time and money into exploring the possibilities with an architect or structural engineer. This may require several meetings and revisions, and could take weeks or months of planning. But in the end, you’ll have a well-shaped vision of your new living space and can confidently decide on your best course of action.